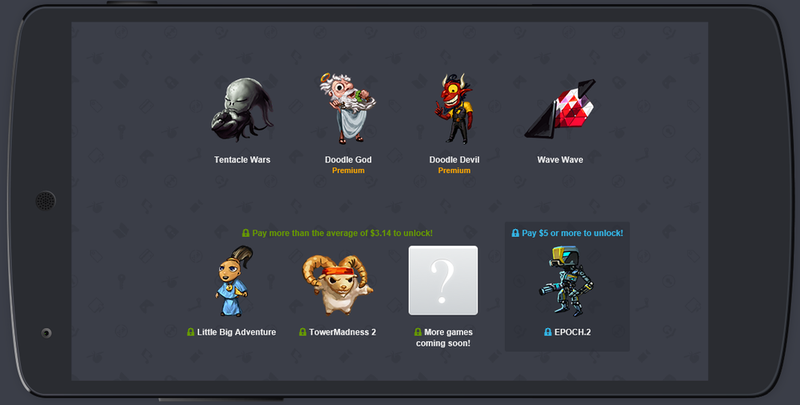 Is it time for a new Humble Bundle, the popular pay-what-you-will game collection for charity, already? Apparently so. Mere weeks after the introduction of iteration 7, a new bundle of apps have appeared. This time around, it features Tentacle Wars, Doodle God, Doodle Devil, and Wave Wave in the first tier, Little Big Adventure and Tower Madness 2 in the second, and EPOCH.2 in the third. Any donation will unlock the first tier of games, while the second tier requires a gift amount higher than the average ($3.14, as of the time of writing). EPOCH.2 is $5, minimum. As always, the Humble team promises the addition of new games soon.